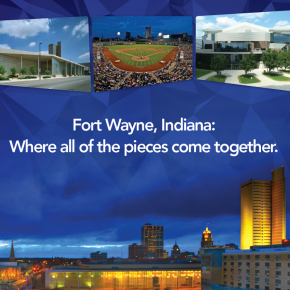 Meeting planners and attendees can't stop talking about how BIG of a city Fort Wayne really is, while still maintaining its small town feel and Hoosier Hospitality. 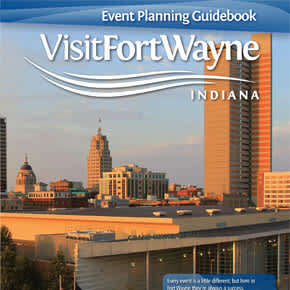 As the second largest city in Indiana, Fort Wayne has all the amenities to make a meeting shine, whether for a small congregation or national, city-wide event. Located on the north side of Fort Wayne, the Allen County War Memorial Coliseum has a proven track record of hosting large trade shows, sporting events and conventions. With tons of meeting space and a huge arena, the Allen County War Memorial Coliseum is equipped to handle any meeting of any size. Measured at 1 million square feet, the Allen County War Memorial Coliseum can host thousands upon thousands of attendees at any particular time. The facility boasts a 13,000 seat arena, four expo centers and 12 meeting rooms. Each area can be customized to meet your meeting's wants and needs. The Allen County War Memorial Coliseum ranked No. 4 in the world for ticket sales, among similar-sized venues, on the Venues Today "Top Stop" rankings. In addition, the building has been named a "Prime Site" by Facilities Magazine for the twelfth consecutive year. 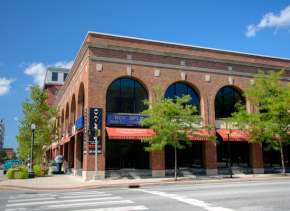 Outside the meeting, visitors to Fort Wayne can enjoy several dining and shopping options on the city's north side. 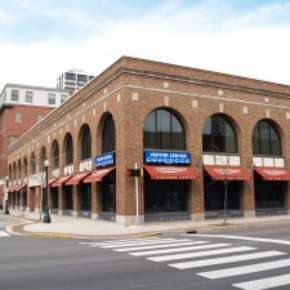 The Memorial Coliseum is located in the heart of our dining and shopping corridor, less than a mile from Glenbrook Square, Indiana's second largest shopping mall. The Coliseum is also within minutes of dozens of great restaurants and entertainment options. The Allen County War Memorial Coliseum has a large parking lot. How large? 5,000 spots - enough to hold thousands of attendees.